Small tree breaks through the pavement. 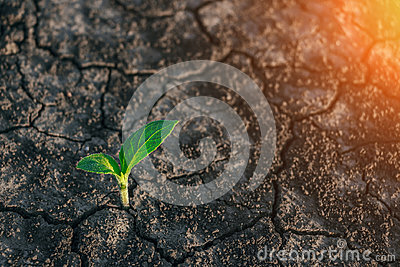 Green sprout of a plant makes the way through a crack asphalt. Concept: don`t give up no matter what, nothing is impossible. Health, medicine, cosmetic. Dog enjoying a beautiful spring morning.